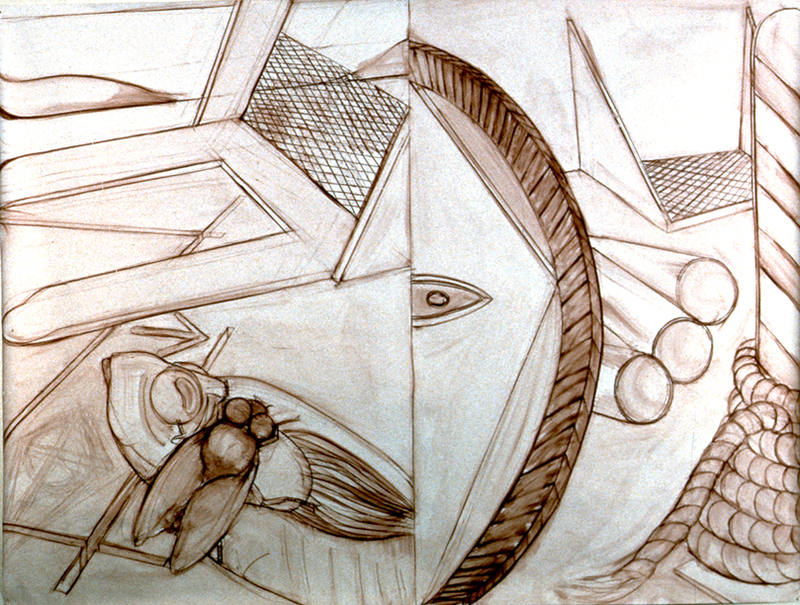 Genetic Control 1984 59″ x 6.5′ red conte on J.A. 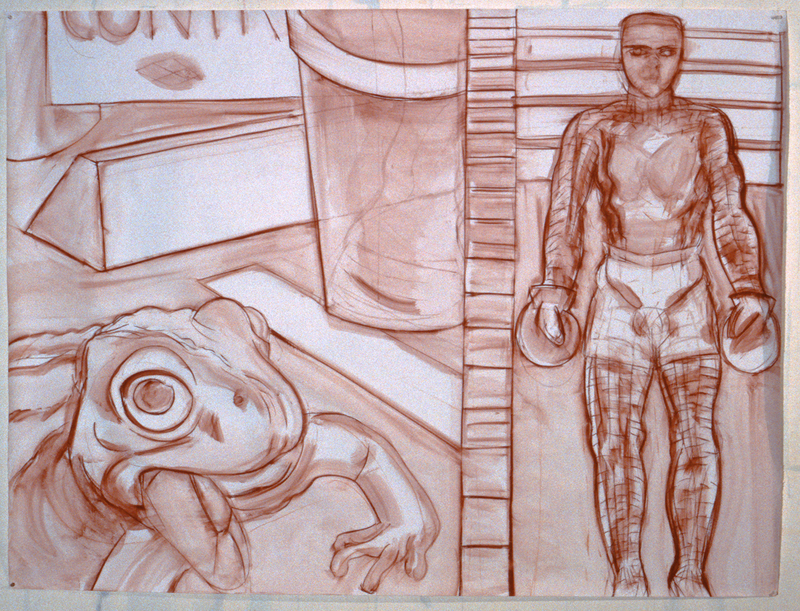 Dessin paper In the painting the boxer has lost his boxers! 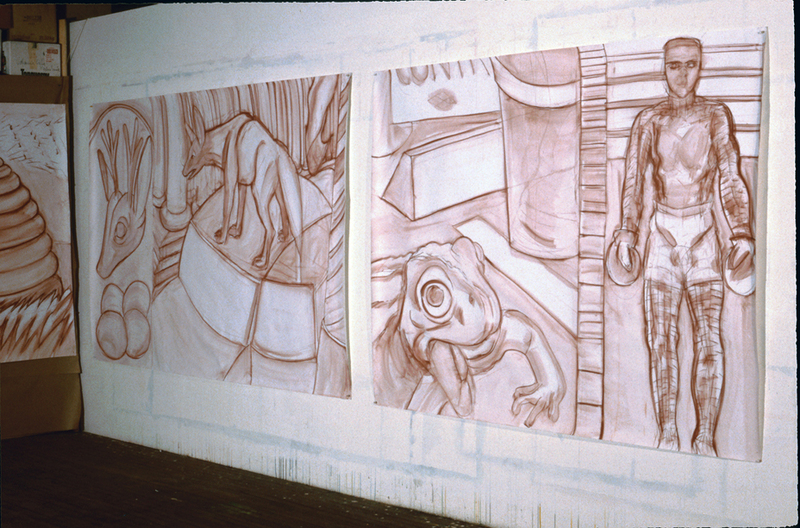 Assassination 1984 59″ x 6.5′ red conte, or sanguine, on J.A. 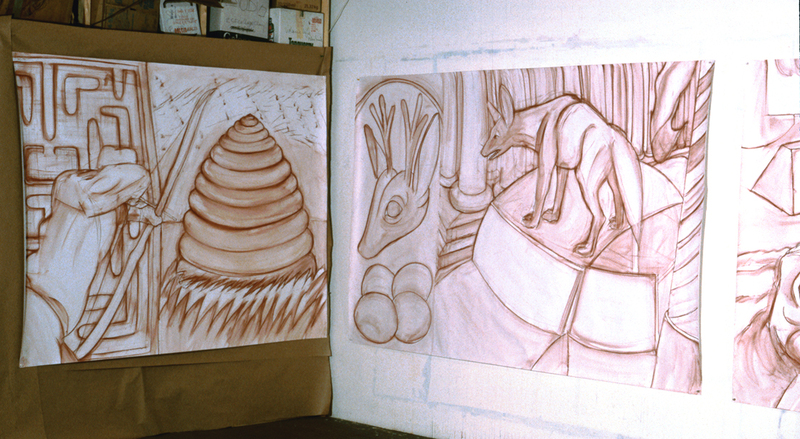 Dessin paper This series of 6 drawings were preparatory to the series of 6 x 8′ acrylic paintings made in 1985, Prey and Predators. When I completed the drawings I realized that spraying them with fixative was a big health hazard so I took a large sponge to them and turned them into a kind of watercolour. 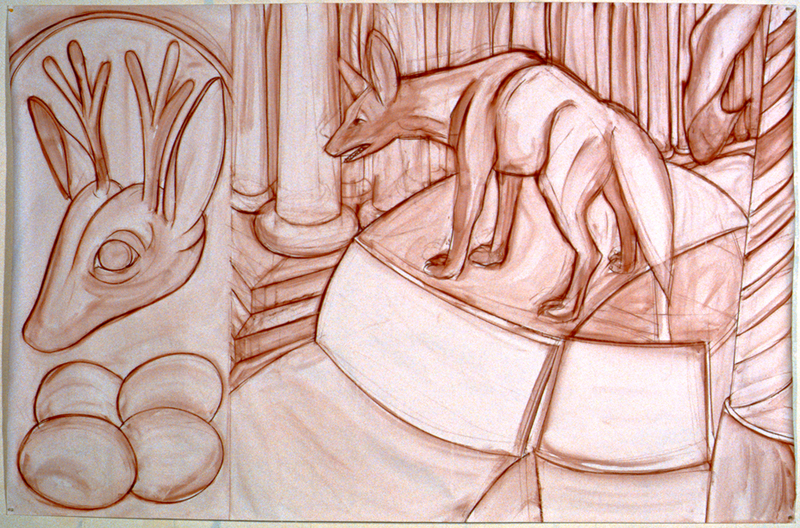 The deer head worked in the drawing but looked too Disney in colour so the painting has a bee in its place. Fish & Fly 1984 59″ x 6.5′ conte on J.A. 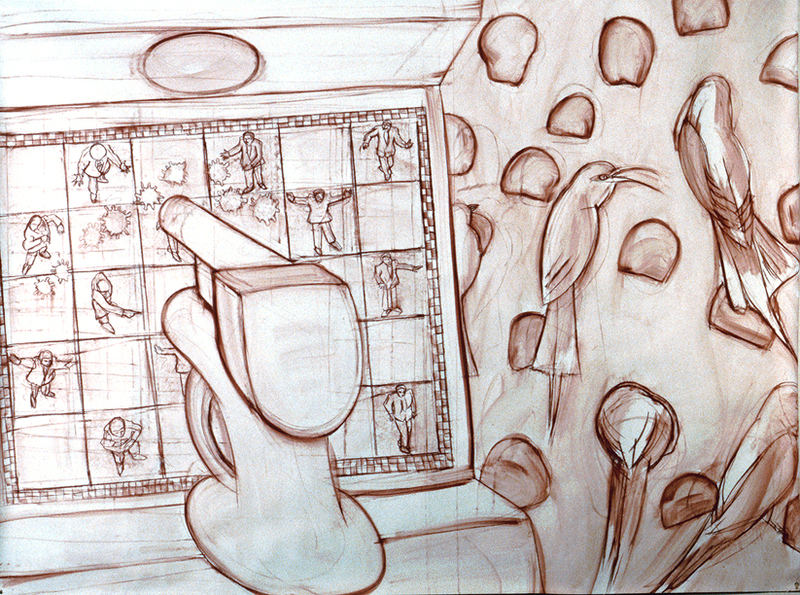 Dessin paper This is the last in the series and again features the Picasso sculpture in the right hand panel. The construction references are taken from photos I shot during the construction of the Winnipeg Public Library in 1969. Some of the same photos were source material for the woodcuts done in 1978. Honeyed Words & Bee Eaters 1984 59″ x 6.5′ Bee eaters are one of the few birds that prey on bees. They live in cliff sides in Africa. Fields on the left. Taken in my Montreal studio on Clark street. The building has since been demolished.